You wish to give up your collection or sell a portion of your coins? You’ve inherited property and now seek someone to purchase coins? We will gladly advise you on the possibility of consigning your coins in one of our auctions, or regarding a direct purchase. We are always looking for interesting coins and medals. Since 1971, the Fritz Rudolf Künker GmbH & Co. KG has been a dependable and highly professional partner in the trade of minted valuables. Our long experience in the coin trade and our large customer base -- with more than 10,000 customers around the world -- are only two of the advantages that accrue to you when the sale of your coins is on the agenda. The purchase and sale of coins is part of our daily business, and we carry it out conscientiously and in a customer-oriented manner. You will also profit from our modern online auction system, because it is designed to take into account the special requirements of coin collectors. Our printed catalogues are of the highest quality standards and are recognized as such internationally. Thus the presentation of your coins will take place in an appropriately impressive setting. As consigner of your coins, you profit from our personalized service: upon personal delivery we will immediately issue a detailed itemization as a transfer protocol for you. 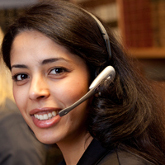 Should your consignment reach us by post, we will immediately confirm receipt by telephone. Five weeks before the coin auction – at the latest – you will receive an exact listing of your objects with catalogue numbers, states of preservation and price estimates. Of course, after the sale or auction of the coins we guarantee you a smooth and simple payment transaction. And if you wish to sell individual pieces or a coin collection directly – whether because it is in your interest to sell quickly, or because a coin auction seems too risky – then speak with us about a direct purchase of your coins! Only with a comprehensive consultation with our experts will you attain an optimal and satisfactory result. Your coins will be fairly and accurately appraised by our experts. 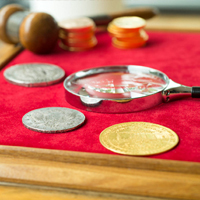 We will help you decide which coins are most appropriate for sale, and which are more suitable for auction. The Künker eLive Auction and direct purchase option enable you to arrange a prompt sale of your coins, and thus a prompt payment as well. With purchase of your coins, the pay-out of your funds will take place immediately as a rapid money transfer or, at your wish, directly in cash. All pieces for auction will be examined by our experts for authenticity, classified, and described in detail. For all items which have found no buyer in an auction, no charge will be levied. Profit from the recognition and appeal of our leading company, and ask us today about the possibility of consigning your coins.